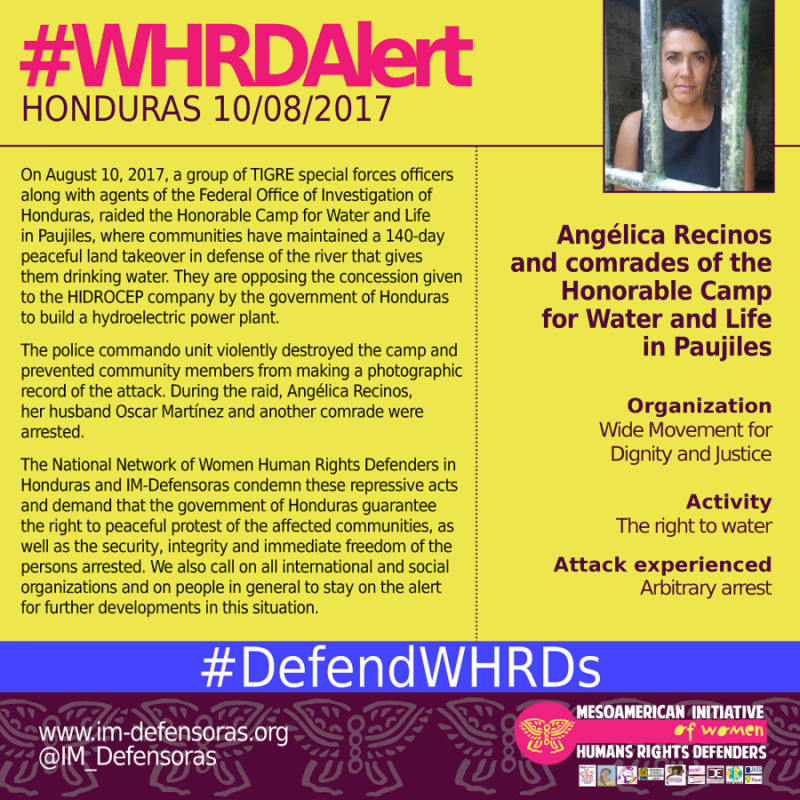 THE FACTS – Today, August 10, 2017, a group of TIGRE special forces officers along with agents of the Federal Office of Investigation of Honduras, raided the Honorable Camp for Water and Life in Paujiles, where communities have maintained a 140-day peaceful land takeover in defense of the river that gives them drinking water. They are opposing the concession given to the HIDROCEP company by the government of Honduras to build a hydroelectric power plant. The police commando unit violently destroyed the camp and prevented community members from making a photographic record of the attack. 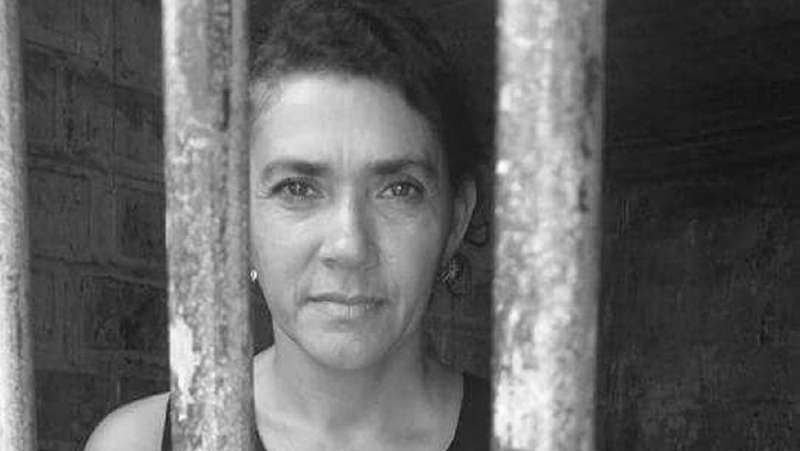 During the raid, Angélica Recinos, her husband Oscar Martínez and another comrade were arrested. The National Network of Women Human Rights Defenders in Honduras and IM-Defensoras condemn these repressive acts and demand that the government of Honduras guarantee the right to peaceful protest of the affected communities, as well as the security, integrity and immediate freedom of the persons arrested. We also call on all international and social organizations and on people in general to stay on the alert for further developments in this situation.